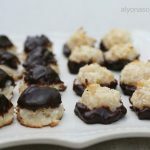 This super easy recipe makes about 3 dozen little treats and is a great transition from other ordinary desserts. 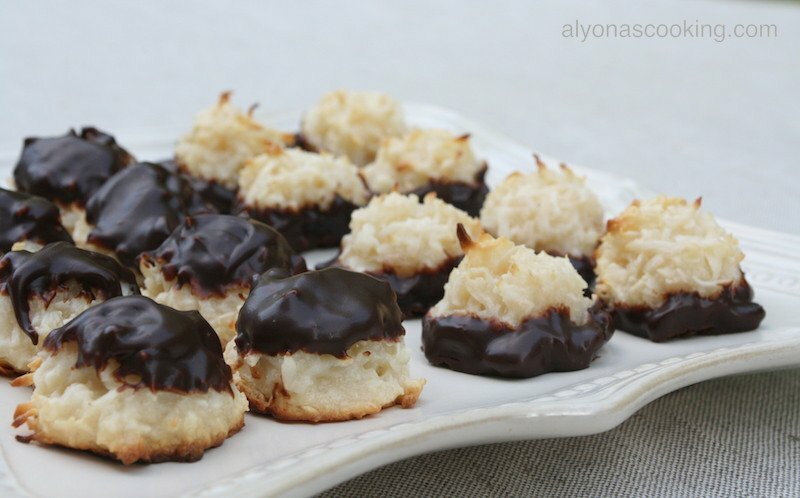 It can feed a crowd and makes for a wonderful finger desert as you don’t have to cut to serve. 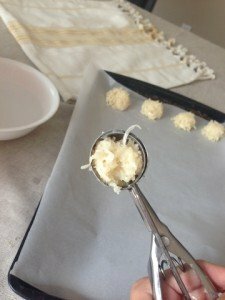 These are so easy to prep and taste incredibly delicious for the few ingredients that they have. To begin, preheat oven to 325 degrees F. Then, line 2 baking sheets with parchment paper and set aside. 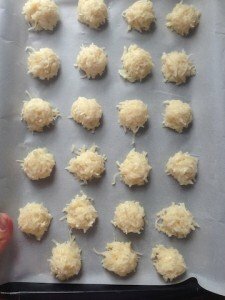 In a large bowl combine the coconut flakes, flour, and salt. After that, add condensed milk and extracts; stir well. 3. Using a 1.5″ ice-cream scoop, (dip scoop into wthe ater to prevent the mixture from sticking) scoop mixture onto the baking sheets, shaping and fixing tops and sides if needed. 4. Bake in the preheated oven for 15 min or until golden brown. 5. 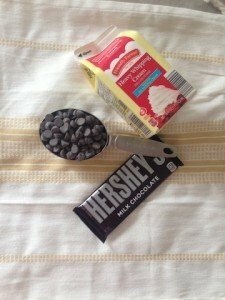 To melt chocolate: place 1/2 cup of semi-sweet chocolate chips and 1 Hershey’s regular sized bar into a bowl. 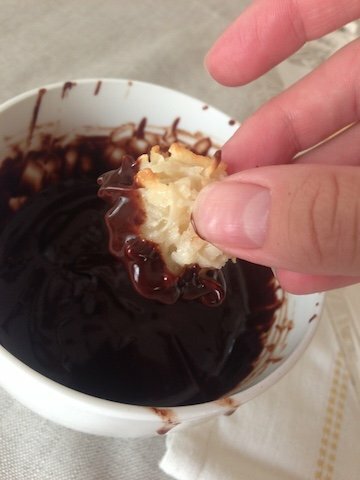 Heat 1/3 cup of heavy cream, until hot and pour over chocolate. Allow to sit for a minute and then stir until smooth. 6. 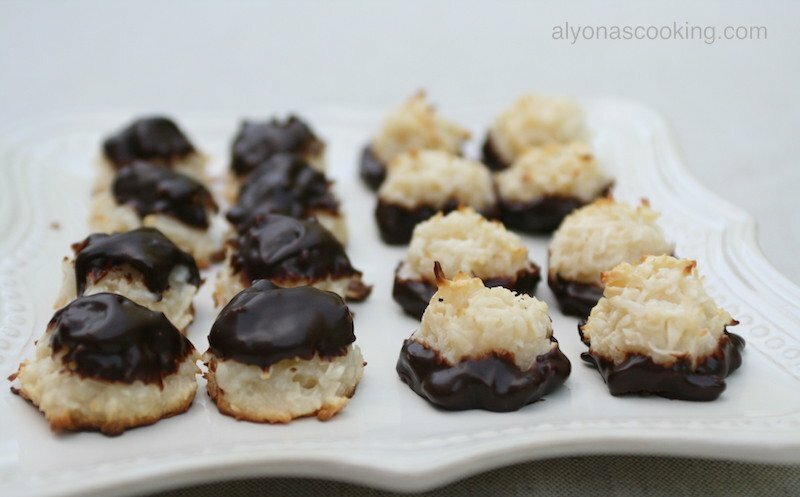 Dip cooled coconut macaroons in chocolate, bottoms or tops whatever you prefer. Refrigerate for the chocolate to set and serve! 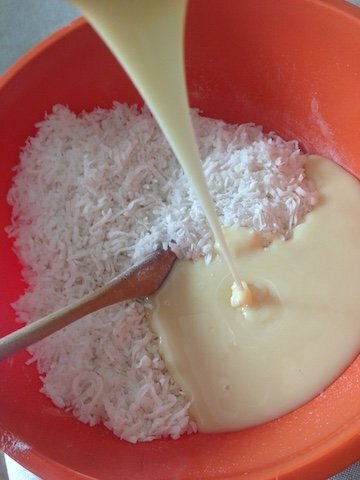 In a large bowl combine the coconut flakes, flour, and salt. 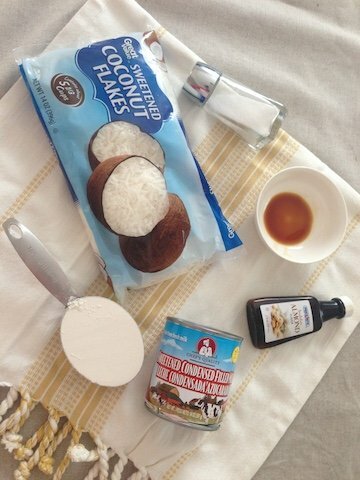 Add condensed milk and extracts; stir well. Using a 1.5" ice-cream scoop, (dip scoop into water to prevent the mixture from sticking) scoop mixture onto the baking sheets, shaping and fixing tops and sides if needed. Bake in the preheated oven for 15 min or until golden brown. 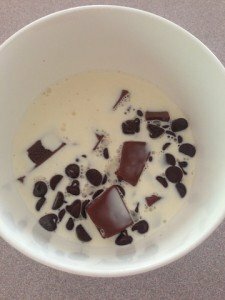 To melt chocolate: place 1/2 cup of semi-sweet chocolate chips, 1 Hershey's regular sized hershey's bar into a bowl. Heat 1/3 cup of heavy cream, until hot and pour over chocolate. Allow to sit for a minute and then stir until smooth. 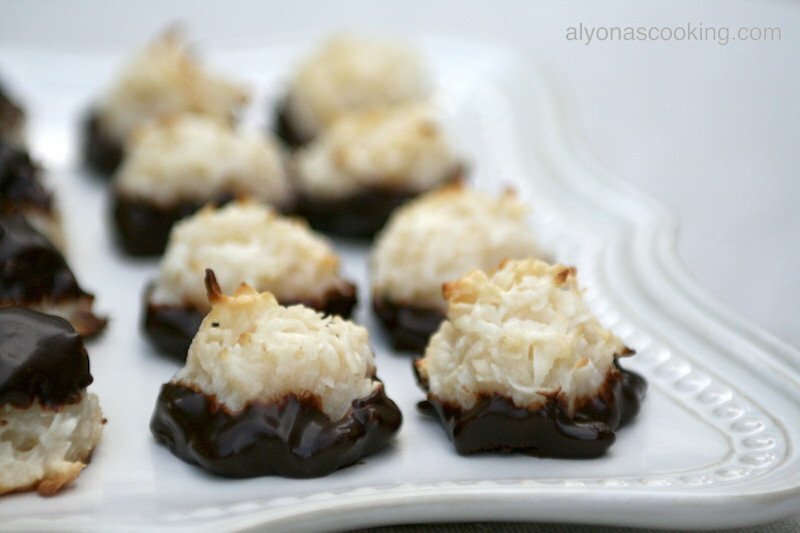 Dip cooled coconut macaroons in chocolate, bottoms or tops whatever you prefer. Refrigerate for chocolate to set and serve!